The Union Tech Z-Series Valves comprise of both severe-service metal-seated and rising-stem ball valves. The Z-Series product line covers both zero-leakage critical isolation applications, as well as high performance frequent cycling with positive shutoff applications. With over 100 years of aggregate product experience, the Z-Series Valves are jointly developed by our team of engineers and seasoned valve experts. Union Tech utilizes advanced engineering techniques, such as finite element analysis (FEA) and comprehensive flow analysis and combines it with pragmatic "know-how" drawn from decades of product experience to ensure that every valve is optimized for its intended application. Our engineering team is always available for support with upfront materials selection, piping and instrumentation diagrams (P&ID), and general onsite operations. We do not utilize statistical process control (SPC) for valve testing. Every single Z-Series valve is tested at completion, and Union Tech furnishes MTR's and individual test reports for each valve. Z-Series valves are fully customizable and fit for purpose to each specific application. The Z1 Unibody Power Valve is a one-piece metal-seated ball valve engineered for clean steam severe-service (high-pressure, high-temperature) environments, including power generation and critical on/off applications. The Z1-LW is a one-piece lightweight ball valve designed for clean steam severe-service (high-pressure, high-temperature) environments. With one integral SW end, the compact design of the Z1-LW valve weighs 50% less than typical flanged valves of the same pressure class. The Z2 is a two-piece metal-seated ball valve engineered for severe-service environments for use in critical applications, including chemical / petro-chemical, refining, power, and mining. 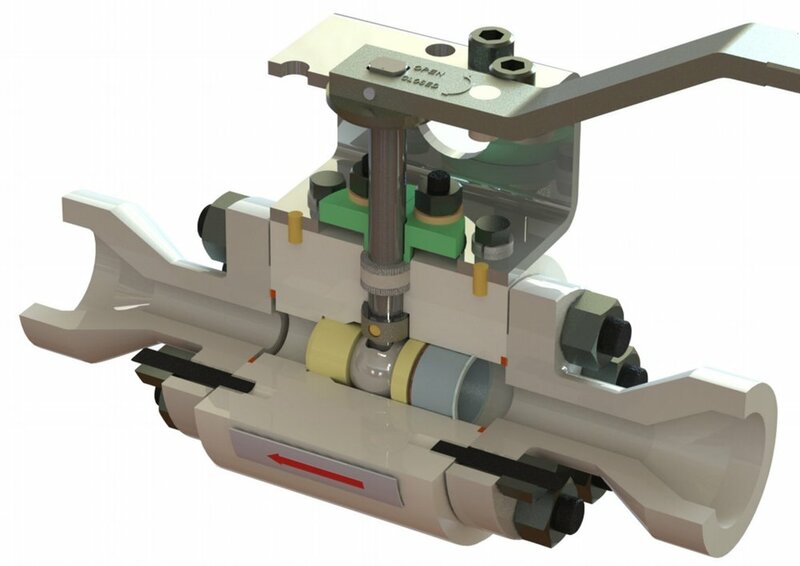 The Z3 Power Valve System consists of a modified Z1 valve and a pair of end connections and enables inline replaceability, which eliminates the need to cut-out existing and weld-in replacement valves, while retaining all features of the Z1 Unibody Power Valve. The Z4 Rising Stem Ball Valve employs a tilt-and-turn design enabling frequent cycling, zero-leakage, and low torque operation. This valve is engineered to replace traditional ball, gate, and plug valves in gas processing plants using molecular sieve systems for switching service, pipelines, gas transmission, and other high performance applications requiring frequent cycling with positive shutoff operation. Copyright © 2018. Union Tech Co., LLC.